WHR Architects offer a great opportunity to work and learn about health-care architecture through their year long ‘Tradewell Fellowship’ that generally begins and ends in July and includes employment at WHR Architects in Houston. The application for 2012 is now open. Each year, the Tradewell Fellow is involved with clients in early master planning and design with a particular focus on healing environments and collaborative design methods in health-care related projects. So those who are interested and enthusiastic about hospital and health facilities design should try for this great opportunity. This fellowship will help to be in touch with the senior medical planners and clients, to receive career guidance from leaders at WHR and a network of past Tradewell Fellows that will eventually start making you a life long learner, mentor and leader in this sector. Gather to form a peaceful human-chain at the South Plaza of the National Parliament Building. We are happy to know that the Government of Bangladesh is initiating the long overdue process of making an MRT system for the over-crowded grid-locked Dhaka city. At the same time it is astonishing and very disappointing that a part of the MRT lines are decided (as far we know) to go through a portion of the Eastern edge of the National Parliament Building, the building and the masterplan often treated as the best piece of modern architecture ever built. 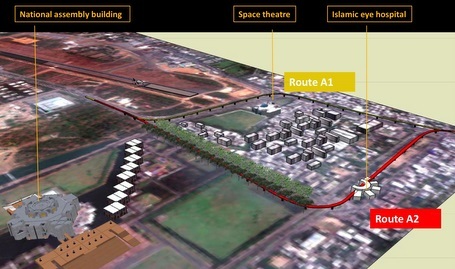 It was proposed that the line would go through Bijoy Shoroni in front of the Bhashani Novo Theater avoiding Khamar Bari and Parliament Building area, it would not hamper any of the demands of the neighborhoods, since the line would equally connect Monipuri Para and Khamar Bari area from the other side. 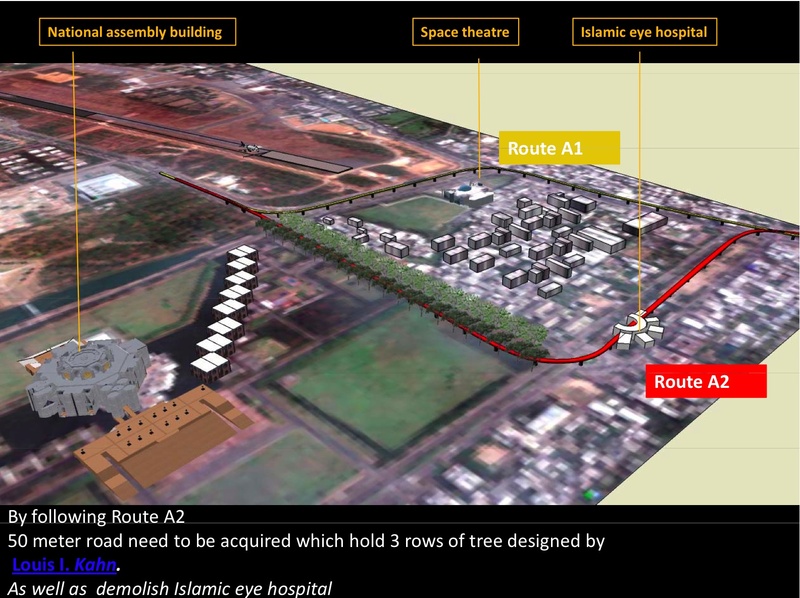 (Google Dhaka's map to understand, or follow the attached file with "detailed graphic explanation"). Bangladesh Air Force (BAF) put an objection about the line going through Bijoy Shoroni, saying it would disturb the operation of Tejgaon Airport (the Old Airport that has been abandoned for civil use and now it is used solely by BAF as a training base runway). Apparently it is proved that no aircraft exists on earth that would feel disturbed to fly from Tejgaon Airport over Bijoy Soroni, since there is already the Novo Theater building right along the runway and since the MRT lines would definitely be lower than the elevation of the line drawn from the top of the Theater to the edge of the runway. While there is an arguments about the necessity of the mere existence of the old airport at all in the middle of the city it is utterly unreasonable that the MRT line is being realigned to accommodate an illogical issue raised by BAF to support the airport than the Parliament Building. We need to stop this ridicule and we need to gather to save Louis Kahn's masterplan. If you really love the country, the city and architecture join in the gathering to show a protest. Come with some banners/placards as you wish (avoid attacking, obscene language). "I hope you are observing and deeply concerned about the debate and active persuasion by some quarter to realign the metro route of MRT 6 at Section 3, where it is redirected to run alongside of the Shangshad Complex eastern edge taking at least 50 meter from that present edge with some pillars even deeper than that. 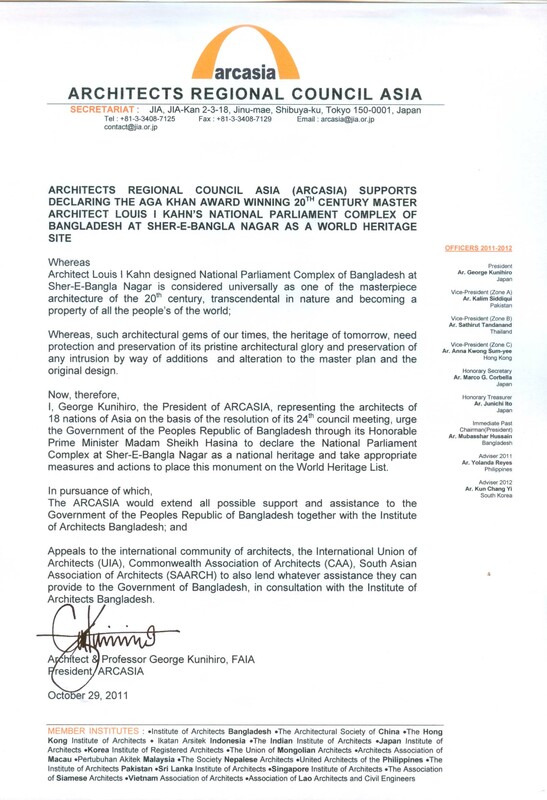 IAB in association with BAPA, BIP and others has been engaged in understanding, pursuing with alternatives and encouraging good sense beside protesting the shifting of alignment. But it seems that the other way persuasion by some quarter has convinced the head of the state Honorable Prime Minister. Obviously as professionals of a democratic country we must now put the pressure of demand to save this audacious proposition and convince our Prime Minister to save the sanctity of the Luis I Kahn's Parliament Complex. Pls find our paper and presentation as attachment for your kind considerations of reasons to fight the cause. 1. On the Wednesday next, That is 2nd November, at 10 am at the South Plaza Side of the Shangshad Bhavan on Manik Mia Avenue, lets stand for one hour as a human chain with lots of banners and placard with our demand highlighted ' to protect the sanctity of the Shangshad Bhavan Master Plan' in Bangla and English (without attacking any other establishment for strategic reasons). Would request all Head of the Department of Architecture of different Universities to encourage the future professionals to participate whole heatedly to assume responsibility. 2. All the Architects who writes regularly in Newspapers or any other media, please come forward and generate a media campaign. We all shall try to ensure the publication of the same with utmost efforts. Lets involve other Professionals and Cultural figures along with Artist to save the sanctity of this Architectural Marvel. 3. Lets arrange more public seminars on the subject and immediately arrange a Signature Campaign from intellectuals, professional and educationists and submit the same to the Honorable Prime Minister and Speaker of the Parliament. At the same time we shall try to publish that urge to get support from the public. 4. Besides everything we must be united to continue our efforts to save the master plan from any further deviation." 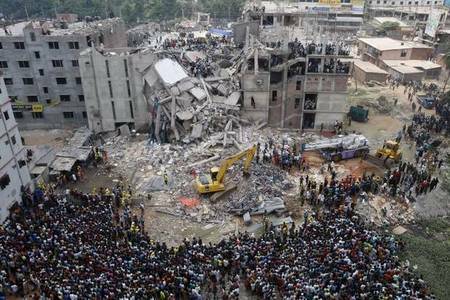 A mass movement by the conscious citizens of Dhaka city and architecture lovers. Supported by IAB, BIP, IEB, BAPA, BELA, POBA, ArchSociety and others.